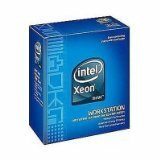 Intel Xeon E7540 Hexa Core Processor S..
Intel Core i5-2405S Quad-Core Processo..
Intel Pentium G620Dual Core 2.6 GHz In..
Intel Mobile Core 2 Duo T6600 2.2 Ghz ..
Intel Core i7 Processor i7-2600 3.4GHz..
TrinityWorks Intel 486 CPU 3.45V Volta..
Intel Pentium 4 521 2.8GHz 800MHz 1MB ..
Intel Xeon Processor W3690 (12M Cache,..
AMD Opteron Hexa-core 8431 2.4GHz Proc..
Intel Xeon X5260 333GHz 6MB LGA771 133..
Intel SLAP2 QC E5405 2.0ghz/1333mhz/12..
Intel I7-950 LGA1366 3.06G 8MB 4.8 GT/..
625075-L21 - New Bulk HP Intel Xeon Pr..
Intel BX80623G860 PENTIUM, G860, 3GHZ,.. 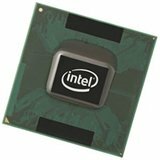 If you need a processor, look online for it! Modern day computer parts comprise several hardware components that work in unison to enable the computer to receive data input and provide the output. This sums up the basic and essential role of a computer. 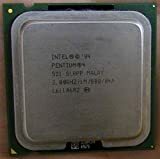 The core of this process is the processor itself which is often termed as the “brain” of the computer. If that satisfies your concept about what is a processor, let's come to its needs and benefits. The primary advantage of a computer processor is the fast calculation of mathematical data. This explains why computers are far superior in certain tasks as compared to humans, such as mathematical modeling. Be it photo editing or video games or any other such application, this is the fundamental principle behind the working of a computer. 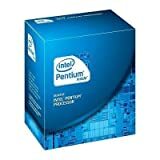 With the right promocodes, you can buy processors online easily and at low costs. A modern computer CPU is basically a dynamic circuit, which contains countless tiny switches called transistors. Other components of the processor control the configuration of these tiny switches, based on input data from a computer user or an active application. These tiny switches form complex dynamic circuits, akin to a printed circuit board (PCB) used in electronics. A motherboard, again, is undeniably one of the most vital parts of a computer system that holds together the CPU, memory and connectors for input and output devices. 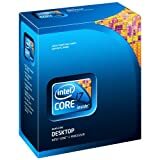 Check out motherboard price online to find a good one. 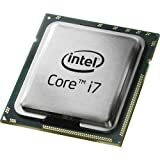 Being the primary basis of a computer, it goes without saying that the rest of a computer's hardware components are essentially built around the processor itself. It is through the processor itself that input data goes through a transition into output data, and thus, all of the input and output peripherals rely on the processor. The processing power of a computer depends largely on the clock speed at which the CPU executes the instructions given to it by the user. 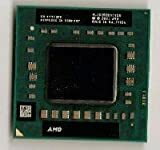 A processor for sale is described as having “cores”. This implies that within the CPU chipset, there are multiple processors working together, to increase the overall speed of your device and help it to manage more tasks at the same time. However, these are not necessarily priced exorbitantly. 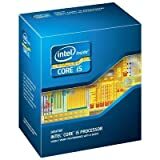 In fact, you can easily find cheap processors from Intel and AMD online. 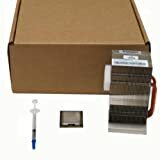 Many users are not familiar with the different computer hardware parts, which is why they are often a loss when it comes to buying these parts. Buying processors online through CashKaro is undoubtedly a wise decision, as that ensures extra cashback on your purchases! Most devices of modern times are equipped with dual core or a quad core latest processor, making way for a number of programs to be run simultaneously. With a quad core device you can run a power-intensive program, like ripping a CD to iTunes, while checking your emails or browsing Pinterest simultaneously, without your PC grinding to a halt. Intel's Core i7 processors ensure unmatched performance. Needless to say, the higher the Gigahertz, and the more cores you have, the better your PC will perform. 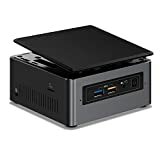 You should also include this in your budget while estimating your desktop price. However, if you expect only basic functionality from your device, such as internet browsing, mail checking, and casual gaming, then you can surely drop a core or two as that will be kinder to your wallet. However, if you want your device to deliver excellent performance even with high-end tasks, taking in multiple instructions at the same time, and also delivering faster and smoother results, then you should definitely opt for a high-end processor. It is especially crucial for an avid gamer. 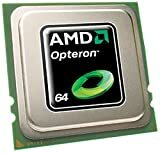 Especially, AMD processors offer excellent value for low-end gaming. You can also take a look at laptop prices in India, from the topmost brands. Shop trough CashKaro and enjoy additional cashback as a smart shopper.